(FOX) Al Qaeda is promoting the upcoming online release of its first English magazine called "Inspire," and one of the first guest writers being promised is Anwar Al Awlaki, the America born cleric linked to several terror attacks on the United States. 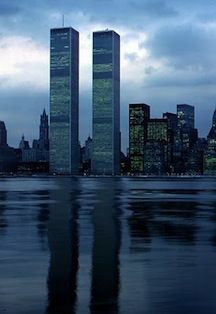 Awlaki is tied to three of the Sept. 11, 2001, hijackers, the attack at Fort Hood military base, the attempted bombing on Christmas Day and the failed attack on Times Square earlier this year. According to two sources, one who collects open source intelligence and the second, the NEFA Foundation, whose mission is to expose the organizations and individuals who plan, fund, and commit acts of terrorism, the website would give Awlaki a new platform to remain in contact with his followers. The development is seen by some analysts as a strong indicator that it remains too dangerous for Awlaki to use the Internet. Awlaki's popular website was taken down after the Fort Hood shooting last November, presumably by the U.S. government, though U.S. officials will not comment on the record about the move. A former senior intelligence official, Charlie Allen, who spent 47 years at the CIA and also ran intelligence and analysis at the Homeland Security Department, said prior to the Fort Hood shooting, Awlaki's followers numbered "in the hundreds." Allen said many of his followers could be found in the United States and Canada, where his message was gaining some traction. Awlaki, who is a rarity because he speaks Arabic as well as colloquial English, first called for the killing of U.S. military and intelligence officers overseas. More recently, he advocated for the murder of American civilians. Since the Fort Hood shooting, Awlaki has sent out a handful of audio statements or interviews bearing the Al Qaeda logo. In one tape obtained by Fox News, Awlaki criticized the Obama administration for failing to be transparent because the e-mails between the cleric and the suspect in the Fort Hood attack, Major Nidal Hasan, have not been released. At a security forum this week in Aspen, Colo., multiple government officials spoke about the next wave of recruits who use the Internet to connect with each other and with the message of radical Islam. Awlaki was front and center in those discussions, attended by Fox News. Michael Leiter, head of the National Counterterrorism Center, told the two day conference in Aspen, that Awlaki had a "direct operational" role in the attempted bombing on Christmas Day. 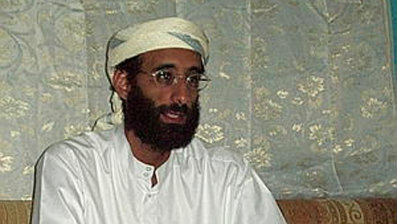 While Leiter would not be more specific citing classified information, sources told Fox News they believe Awlaki was probably the middleman who connected the suspect, Umar Farouk Abdulmutullab, with the bomb maker in Yemen.